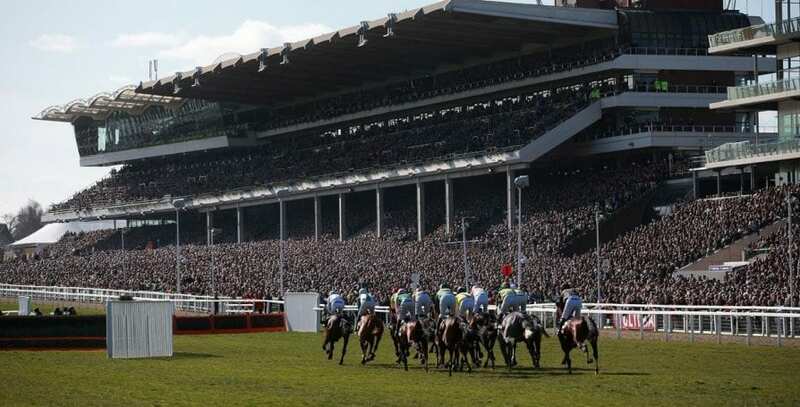 The Cheltenham Open Meeting is here this weekend, and the course hosts a fantastic three days of racing, bringing together a number of current stars as well as showcasing many horses for the future. As ever at Cheltenham, the racing is sure to be competitive and high class, so you can expect good viewing from Friday until Sunday. All three days are televised by ITV, giving horse racing fans the chance to get close to the action as it unfolds. While it may not be the best race on the card on Friday, the Cross Country Chase at 3:00 is certainly going to be the race that gains the most interest. Top of the weights in that race is a very interesting runner in Tiger Roll, who makes his reappearance for the season. He ended last season by winning the Cross Country race that the Cheltenham Festival before winning the Grand National at Aintree, a double he will be trying to do once again this season. He has weight to carry here but will get the ground he likes and won with such ease at the festival that he looks to still have a very good chance of winning this race on Friday. Elsewhere on the opening day in the 1:50 race it may be worth taking a chance on A Hare Breath from the Ben Pauling yard. This talented hurdler doesn’t have much experience over fences, but he is on a handy mark if taking to this sphere once again. He only has six runs over fences to his name, but won two of them and could be able to take advantage of his mark in this good race. The feature race on Saturday is the BetVictor Gold Cup, a hugely competitive handicap that is one of the highlights of the early national hunt season. There are many contenders in this race, but perhaps none improving at the same rate of Mister Whitaker, who won again when reappearing at Carlisle two weeks ago. He has won his last three races now, including one at the Cheltenham Festival last season which stands him in good stead. He will have to improve again to win off this mark, but he looks capable of going right to the top, he is a likeable animal and one fancied to go well on Saturday. Before racing begins on ITV on Saturday, at 1:15 The Worlds End looks set to make his second appearance over fences. He breezed to victory like the good horse that he is on his first start over the bigger obstacles, and is of huge interest going forward both on Saturday and in the future. He went close to the top over hurdles, but is built to be a chaser and could be seen in an even better light this season, which makes him one of the most exciting prospects in training right now. In the 3:00 the very lightly raced First Assignment catches the eye and looks sure to run a big race in this one. He just got up on the line to land a big gamble at this course in October, and it was said after the race that he would come on for that run and be better in the future. With the prospect of that and the fact he has run just five times over hurdles, he is certainly one to watch and appears to have a good chance on Saturday. The headline name on Sunday is Sceau Royal in the Shloer Chase at 2:25. The youngster was on the verge of going all the way to the top of the novice chasing division last season before injury cut his season short and prevented him from running in the big races at the end of the season. He returns here in his first run in open company but looks to have a great chance of getting an early win on the board. He could well go to the top this season, challenging horses like Altior over two miles and is certainly the headline act on Sunday. The Greatwood Handicap is another hugely competitive early season handicap at this meeting, and a tough puzzle for punters to solve. A horse I think will be in the mix is Nube Negra, who is only a youngster at four years old, and only has five hurdle runs to his name. However, he does have vital big field experience, and experience of this track from his run in the Fred Winter at the Cheltenham Festival last season. That will stand him in good stead, he has improved in him and he could prove to be well handicapped here, something he will need to be to win this race. In the 1:50 novice chase we will see the return of Defi Du Seuil, a horse who was seven from seven as a juvenile before disappointing in two runs last season. The reports are positive that he is now over the issues from last season, and that makes him an exciting prospect going chasing. This is his first spin over fences, and he is another fascinating runner on a very interesting day of racing. As we always see when we have racing at Cheltenham, the betting markets are very competitive going into the action this weekend. On Friday, A Hare Breath and Bun Doran are vying for favouritism at 3/1 in the first race that is on TV, while Mister Whipped is a strong 9/4 favourite in the second race, with Jenkins available at 11/2. Tiger Roll is a strong favourite for the Cross Country Chase later in the day at 11/10, while Pym heads the betting for the finale at 9/4. The Worlds End is odds-on for his race on Saturday with 8/13 available, and he is certainly the one to watch as far as the future goes. The Young Master and Singlefarmpayment are the joint 8/1 favourites in the 1:50, and they are the only two horses in single figures for what looks to be a hugely competitive handicap. Rather Be heads the market for the BetVictor Gold Cup, while Mister Whitaker is available at 13/2 to continue his winning run. First Assignment is available at 3/1 to win the 3:00 and continues his progression, he was gambled heavily last time, will that be the case again here? On Sunday the headline act Sceau Royal is available to back at 13/8 to win the Shloer Chase. Before that, Defi Du Seuil is 4/1 to win on his chasing debut behind the 5/2 favourite Claimanakinforgan. It’s 11/2 the field in the Greatwood, with Verdana Blue heading the market. Nube Negra is inexperienced but looks good value at 10/1 for the race. The potentially exciting Seddon rounds off the day and is the current 5/2 favourite to take the 3:30. If you are looking to place bets at Cheltenham this weekend and you want to open a new betting account then this offer from BetVictor will give you free bets for every race at Cheltenham when you open a new account. To qualify, open a new account with BetVictor and place a qualifying bet of £5 or more at odds of evens or greater. After doing this you will be credited with a total of £38 in free bets, which is 19 x £2 free bets, one for every race of the Open Meeting this weekend. This is a great way to open an account and get a free bet for every single race at the meeting. If you are looking for an insurance offer to take advantage of this weekend at Cheltenham then this faller refund from 10Bet is certainly one of the best. To opt-in you need to place your bets through your mobile and not on the computer. If your selection falls during any race at the meeting this weekend you will receive your money back up to a maximum of £10 as a free bet. It is never nice when a horse falls, but this insurance offer will keep your betting going during the meeting if it happens to you. With 12 races live on ITV from Cheltenham plus others from different meetings, this is a great time to take advantage of the William Hill ITV Bet Boost. This allows you to boost the odds on every single ITV race on the first bet you place, and a great way to get the very best value when you are placing your bets on the TV action this weekend.